This special session presents a variety of research analyses related to the broad, multicultural scope of not-for-profit and nongovernmental organizations (NPOs and NGOs), which includes the arts/culture/heritage, charities/philanthropy, economic development, education, health, religion, social, sport, and sustainability sectors. The session also features interactive discussion of the multicultural relevance and implications of the session research topics for nonprofit and nongovernmental organizations worldwide. Multinational NPOs and NGOs are challenged with reaching and establishing relationships with markets and stakeholders on a global scale. NPO and NGO organizations which are more geographically and culturally limited benefit from leveraging innovative ideas, data analysis/management tools, scalability of models, and best practices of sector leaders around the world. This session also focuses on the difficulties of impact and measurement assessment for NPOs and NGOs, which are rooted in the inherent differences in the national/cultural, financial/operational structures, missions, and organizational cultures of these organizations. 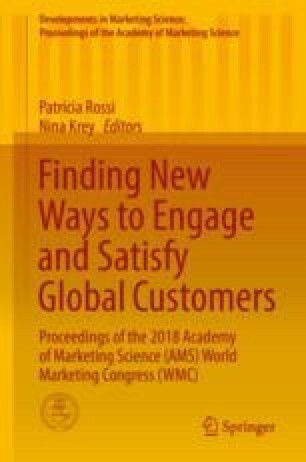 It examines opportunities for NPOs and NGOs to adapt applications of traditional marketing theory/practices to achieve synergistic change and growth. Panelists discuss the broader questions of what nonprofit research on these topics may contribute to for-profit marketing and management (which is the reverse of the common question of what for-profit marketing has to contribute to nonprofit research and practice.) Significant research has been conducted in the not-for-profit arena which also has applicability and value for for-profit research/practice, including studies exploring coopetition, coproduction, performance measurement, social value creation, and stakeholder orientation.